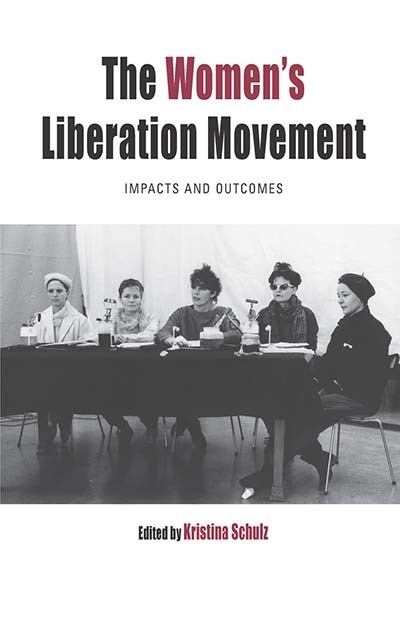 For over half a century, the countless organizations and initiatives that comprise the Women’s Liberation movement have helped to reshape many aspects of Western societies, from public institutions and cultural production to body politics and subsequent activist movements. This collection represents the first systematic investigation of WLM’s cumulative impacts and achievements within the West. Here, specialists on movements in Europe systematically investigate outcomes in different countries in the light of a reflective social movement theory, comparing them both implicitly and explicitly to developments in other parts of the world. Kristina Schulz, PhD, is Senior Lecturer for Contemporary History and Migration History at the University of Berne. She is a specialist of Western feminist history in comparative perspective and is the author of a book on the French and German WLM: ‘Der lange Atem der Provokation.’ Die Frauenbewegung in der Bundesrepublik und in Frankreich (1968-1976). Together with Leena Schmitter and Sarah Kiani she published a source and archive guide about the Swiss Women’s Liberation Movement in 2014. With Magda Kaspar she is currently preparing an audio archive and interactive website about the feminist movement in Switzerland from the 1970s to the present.